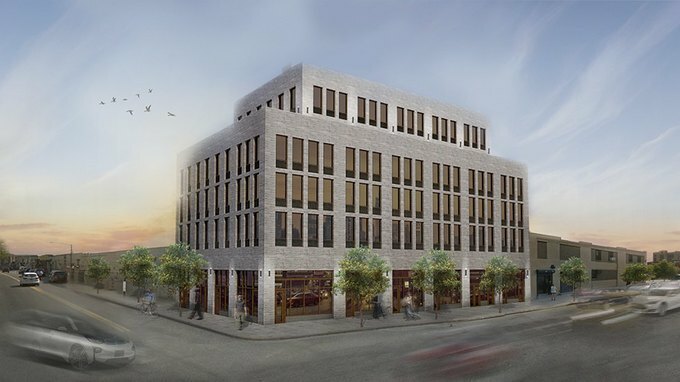 100 Bogart is an exciting new commercial development located on the corner of Johnson Avenue and Bogart Street. When it’s completed later this year, 100 Bogart will rise six stories tall and provide nearly 50,000 square feet of prime retail space, artist studios, coworking spaces, meeting rooms, light industrial spaces, parking, and much more. The development team’s underlying goal is to make 100 Bogart into a neighborhood destination building. How will they do it? By creating an environment that amplifies the lively spirit of Bushwick and surrounding areas. 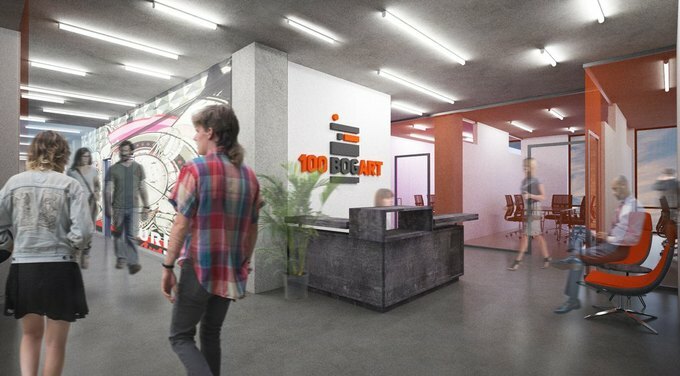 One of the highlights of 100 Bogart will be a premier coworking facility that will provide the space and platform sought after by emerging and experienced creators and entrepreneurs. 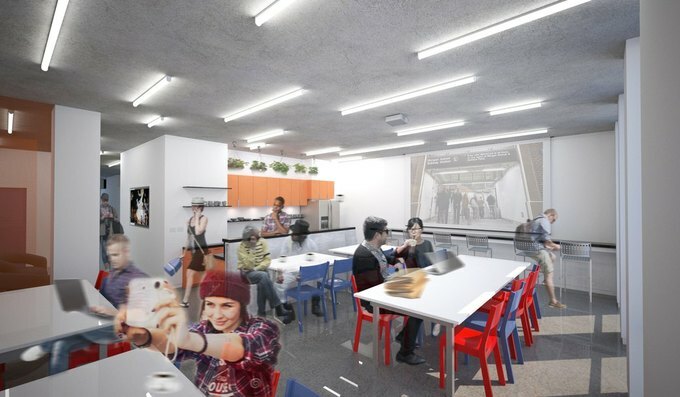 Coworking at 100 Bogart will feature inspiring open-desk layouts, private offices, kitchens, and communal break out areas. Standard amenities will include quality furniture, high-speed internet, premium coffee and tea, mail services, printing/scanning, relaxing lounge areas, and much more. Pricing for desks and private offices will be announced soon, but will be competitive within the coworking market. 100 Bogart will feature over a dozen meeting spaces, including conference and creative meeting rooms which can be booked through 100Bogart.com on an hourly basis. The goal of meeting spaces is to encourage collaboration, networking, and educational programming. 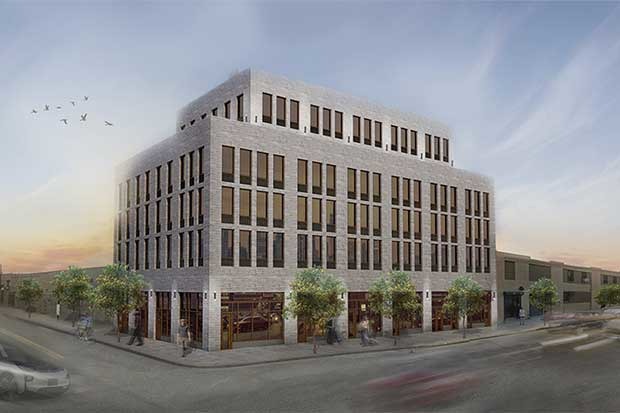 The developers of 100 Bogart Street are planning to dedicate over 1,000 square feet of multi-purpose gallery space on the first floor of the building. The space will be available for artists, community gatherings, not-for-profits, and other interested parties on short-term basis. With superb location and 20 feet ceilings, the space will be used for a variety of art exhibitions, open mics, film screenings, pop-up stores, workshops and other creative events. 100 Bogart Street will have one of the highest rooftops in Bushwick, offering breathtaking views of the Manhattan skyline! The rooftop will be accessible during the day for all members of the 100 Bogart community and also available for private events and gatherings. Perfect for any Insta pic! In addition, there will be an inviting terrace on the 5th floor! In order to realize these plans, 100 Bogart needs to build a strong network of local professionals. Over the next several months, the Bushwick-based RealWorks Realty team, the exclusive marketing agency for the building, will be reaching out to build relationships with local individuals and organizations who want to help make a difference in the neighborhood. If you want to be involved helping realize a communal dream, have valuable experience to share with others, or are simply interested in finding more out about the project as it develops, contact us at info@100bogart.com and check out our website at www.100bogart.com ! We look forward to seeing you December 2016!